World Land Trust’s (WLT) conservation partner in Armenia – Foundation for the Preservation of Wildlife and Cultural Assets (FPWC) – continues to inspire local people to support conservation through a dynamic education programme. Since its founding in 2001, FPWC has had a strong focus on stimulating young people to learn about conservation. By encouraging children to understand why conservation is important, and by using creative ways to engage them, the NGO’s outreach work is giving young people a sense of pride – and a feeling of ownership – in Armenia’s rare species and wild places. October was particularly busy for FPWC’s outreach programme. In the Animal Carnival Parade of FPWC’s fourth SunChild Environmental Festival, groups of children created wonderful Caucasian Leopard masks and costumes. And in FPWC’s Sixth Pan-Armenian Painting competition, which runs until 30 November, one of the three categories – ‘I am a Leopard’ – is inspiring young people to empathise with this endangered species. FPWC also has outreach programmes for adults. 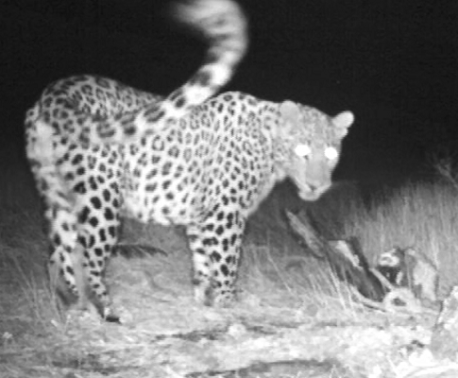 At the end of October, FPWC organised a public screening of the award winning Iranian film In search of the Persian Leopard, a documentary produced by the Iranian Cheetah Society about a group of Iranian researchers who spent six years studying the behaviour of this rare species. 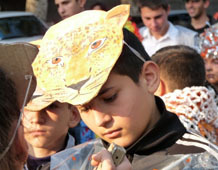 After the film, a panel discussion focused on leopard conservation in Armenia, and a leaflet about the leopard was circulated at the event. Thanks to the SunChild Festival the film has also been broadcast by ArmNews TV, one of the main TV Channels in Armenia. 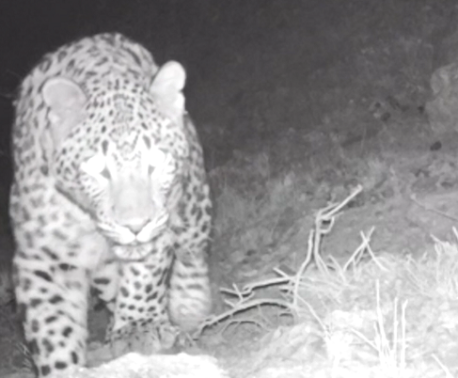 For the first time a major national TV station broadcasted a film that clearly presents the plight of the Caucasian Leopard to the Armenian public. Even better, the film attracted a large viewing audience. In November FPWC saw another landmark event with the official opening of the Urtsadzor Eco-Training Centre in the Caucasus Wildlife Refuge (CWR). The Centre provides a focal point for FPWC’s conservation work in the CWR, and is helping to change the attitudes of local people to conservation. The Centre offers lessons for school children, young people and villagers in adjacent communities. It will also provide training in how to manage biological resources, such as wild edible plants, sustainably and profitably. In time, the centre will become a scientific hub and part of the local economy by providing accommodation for eco-tourists and visitors. The building itself has been built using green technology. The hot water is supplied by solar panels, and the centre has its own waste water treatment facility. The centre’s construction was made possible with the financial support of UNDP / Global Environment Facility’s Small Grants Programme.